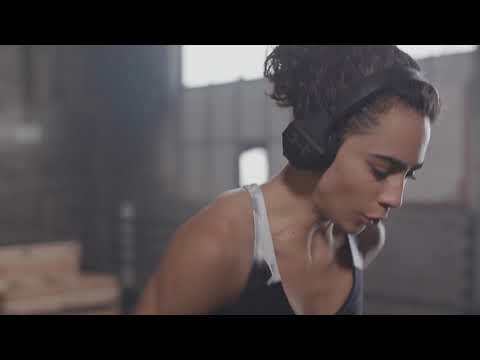 UA Sport Wireless Train – Engineered by JBL heeft als beoordeling 4.4 van de 5 door 90. Rated 3 van de 5 door ch_blass uit Achtung: Nicht für Brillenträger geeignet Ich habe den Kopfhörer vor drei Tagen erhalten. Voller Vorfreude habe ich den neuen Kopfhörer aus seiner hochwertigen Verpackung befreit und bewundert. Er sieht super aus, lässt sich leicht bedienen und liefert von Beginn an einen klasse Sound. Leider habe ich den Kopfhörer im Internet bestellt, ohne ihn vorher progehört oder probegetragen zu haben, denn jetzt kommt das große ABER: Aufgrund seiner Bestimmung als kabelloser Sportkopfhörer liegt er sehr stramm / eng am Kopf an, um bei den Sportübungen nicht zu verrutschen oder herunterzufallen. Ich bin Brillenträger (nutze keine Kontaktlinsen) und trag hinter meinen Ohren die Brillenbügel. Die Kopfhörer bauen so einen starken Druck auf, dass die Brillenbügel zwischen Ohr und Schädel eingequetscht werden. Ohne Brille lässt es sich länger aushalten, aber mit Brille schaffe ich es nur ca. 10 Minuten, den Kopfhörer zu tragen. Die Polsterung des Kopfhörerbügels und der Ohrmuscheln sind sehr gut, wenn nur nicht der abartig hohe Druck zwischen den beiden Kopfhörerohrmuscheln wäre. Somit ist der Kopfhörer für mich als Brillenträger leider nicht geeignet. Rated 5 van de 5 door Cristhian uit Quality Product I have researched for quality headphones for gym purposes not for looks or flashiness but to sweat in them and not to have to worry about them being damaged or falling off as I do intense training sessions. I also don't like ear buds, I have tried the ones that wrap around your ear and the regular ones and they just don't seem to fit right or comfortably. I also have purchased a few off brand over the ear ones thinking why spend so much on headphones, well after going through a few of them, and one breaking the others deteriorating over time.I finally came across these. They are sturdy for the toss into your gym bag n go type they are not flimsy and dont feel like cheap material. These are meant for you to sweat in and get em dirty. The ear cushions are washable so that right there is a plus. I would definitely recommend these to anyone who doesn't mind over the ear headphones they are my preference of course. They are not too heavy or bulky and very easy to use. If you're wondering what is the difference between these and the Rock Project1 Headphones they are the exact same and only real difference is price and that they come in multiple colors with the Rocks symbol. If you want to pay 250 dollars for the Rocks symbol go right ahead instead JBL were selling these for $160 at some point during black Friday and go for $180 pretty much anywhere. I personally didn't see why I should pay $70 dollars more for the project 1s but to each their own especially if you're a Dwayne Johnson fan. I wanted to definitely touch up on that because it may save some people time.They also come in great packaging with a quality travel case for your headphones. I tried loading pictures but files were too big but I'm sure if you're really interested and you're anything like me you will do a bit of research. There's plenty of reviews for them and videos on YouTube. I have had them a little less than a month now but use them 3 to 4 times a week. I use them for weightlifting and cardio intense training exercises jump rope, burpees, etc..and they do not move. Hope this helps. Rated 4 van de 5 door Jerome91 uit Super Headphone Wat een super fijne koptelefoon! Allereerst en niet geheeld onbelangrijk is het geluid van de koptelefoon van zeer goede kwaliteit. Wat deze koptelefoon voor mij speciaal heel prettig maakt is de pasvorm en de makkelijke bediening. Hij past perfect op je hoofd maar zit ook niet te strak, dit is heel handig bij het sporten. Hij valt ook niet van je hoofd af wat ook wel handig is:) Ook de bedieningsknoppen aan de buitenkant van de koptelefoon zijn fijn omdat je makkelijk het volume kunt aanpassen of een volgend nummer aan kunt zetten met 1 simpele druk op de knop. Al met al een fijne koptelefoon om te gebruiken, vooral als je net als ik een fanatiek sporter bent.